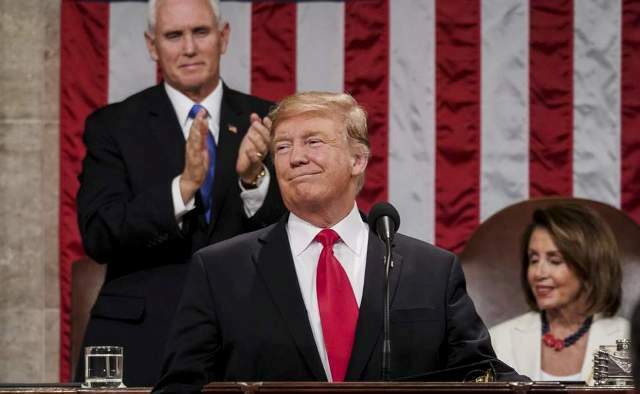 Agency, 6 February : President Donald Trump announced during Tuesday’s State of the Union address that his second summit with North Korean leader Kim Jong Un will take place in Vietnam on February 27 and 28. “We continue our historic push for peace on the Korean Peninsula. Our hostages have come home, nuclear testing has stopped and there has not been a missile launch in more than 15 months. If I had not been elected President of the United States, we would right now, in my opinion, be in a major war with North Korea,” Trump said. “Much work remains to be done, but my relationship with Kim Jong Un is a good one. Chairman Kim and I will meet again on February 27 and 28 in Vietnam,” he added. The city in Vietnam is still being discussed but the contenders are Hanoi and Da Nang, according to a source familiar with the summit’s planning. A source familiar with the negotiations says that North Korea favors Hanoi given that they have an embassy there. The US favors Da Nang given the fact that there was recently an APEC summit in the city which means the US has already conducted a full check. The State Department special representative to North Korea, Steve Biegun, is heading to Pyongyang on Wednesday to solidify some details related to the summit, including the city where it will take place. He will also press for the North Korean counterpart to attend a series of working level meetings before the summit. With the summit just three weeks away, follow-up meetings at a working level will be needed, especially as there was no progress on denuclearization during the last visit by a North Korean delegation to Washington, in January. The North Koreans have also said that they would take steps on denuclearization if the US takes corresponding measures, though Biegun said last week that one of his tasks will be to figure out exactly what that means.